Bonaire has been voted the number one shore diving destination in the world for 23 years in a row! And with good reason: the island offers a total of 86 marked dive sites with most accessible from shore. And the water is generally as calm and clear as a swimming pool with the reefs under strict Marine Park protection. 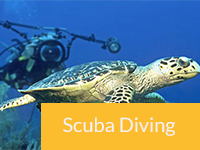 But you don’t have to be a diver to enjoy the underwater world of Bonaire. Because the visibility is exceptional, currents minimal and the coral reefs grow in shallow water that deepens gradually, most sites are just as ideal for snorkeling! 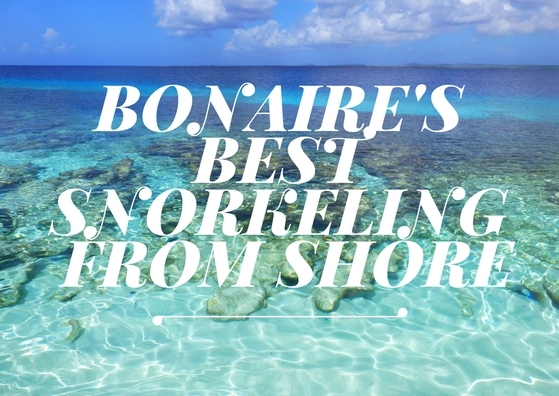 The list of must-see snorkel sites on Bonaire is practically endless, but here are a few of our favorites that you can drive right up to with easy access entering from the shore. 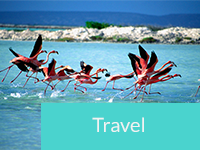 There are several lovely snorkel sites in the Washington Slagbaai National Park. But the best one, by far, is Wayaka 2. Both above and under water, this is one of the most instagram-worthy places on the island. A white sandy beach, rugged mountains and water as blue as the clearest sky. But best of all: the site has a very shallow reef that makes it possible to get up close and personal with the coral and fish! This all makes Wayaka 2 an excellent snorkeling spot and a perfect excuse for a day trip to the National Park. Before entering the park make sure to ask one of the rangers whether Wayaka 2 is open or not. Because of the shallow reef they sometimes close the snorkel spot during certain weather conditions. We’ve met the friendliest French angel fish on Bonaire and spotted massive stoplight parrotfish at this site! The salt pier makes it to everyones short list of ‘best dive sites on Bonaire’, but you rarely see any snorkelers around. Yet this place is well worth discovering, for two different reasons. Number 1: between the pillars, in the shadows of the salt pier, you can find millions (seriously millions!) of fish! The pillars are covered with sponges as well as fish eggs that some parents-to-be are bravely protecting against outside danger (read: you). A fantastic phenomenon! Secondly, and what many snorkelers don’t know, is that a lot of seagrass is growing in the shallows about 100 feet right from the parking lot. And guess what animal is fond of this delicacy? Exactly — turtles! If you don’t disturb them, you can easily watch them for minutes quietly grazing along the bottom. Please note that access to the salt pier is forbidden when a boat is docked so make sure to check before entering the water. The name Karpata refers to an old aloe vera plantation, marked by the ocher colored buildings and historic structures of ‘Landhuis Karpata’. While Bonaire’s past seems eerily frozen in time among the centuries old scenery above water, it’s the spectacular diving — and snorkeling — that brings people back to this site. 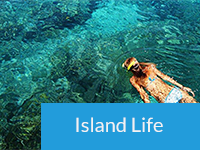 The uninterrupted reef is deep enough to swim over and shallow enough to get a close up view of the coral formations and fish. 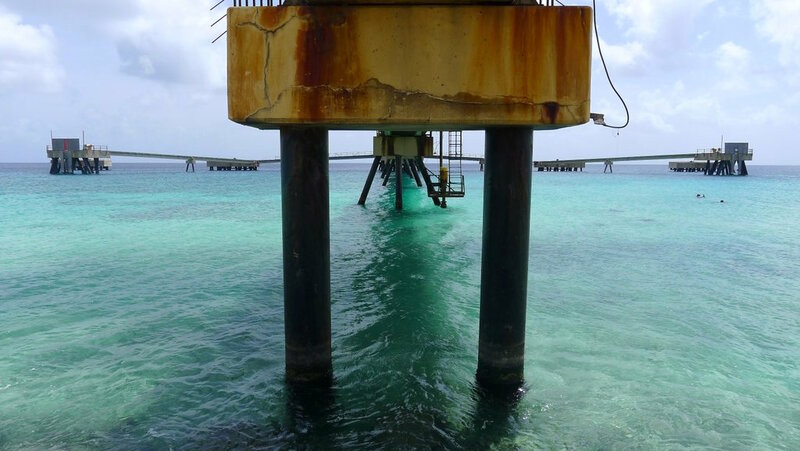 An old concrete pier serves as a support for the entry and exit when the surge is strong. Hold on tight, because the rocks and the swells can easily bring you out of balance. 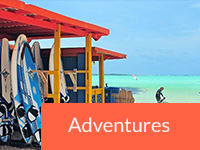 Once in the water you will see hard coral formations that reveal a kaleidoscope of colors and marine life. On top of that, Karpata is home to many turtles. Most of them can be found on the left side of the entrance between 15 and 30 feet depth. It’s said that if you haven’t seen a turtle at Karpata, you probably had your eyes closed. 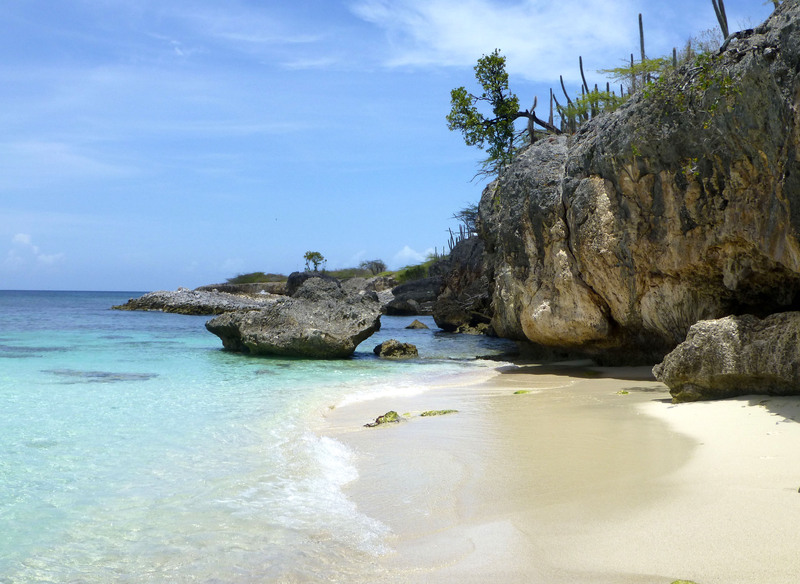 One of the most relaxing places to snorkel on Bonaire is Te Amo beach. This easily overlooked jewel, across from the airport with fantastic views of arriving flights, is popular with both tourists and locals. An ideal combination of sand, surf and snorkeling, you’ll find families and friends ending their day with the last rays of sunshine as well as parties celebrating with food and music. It’s a wonderful place for gathering, kicking back … and snorkeling. The sandy entry is super easy with a huge shallow coral formation that at times is even visible above the water. The key is to go around the structure to the deeper waters and from there explore the shallow formations and it’s numerous fish species. We’ve found everything here from squadrons of squid to a permit the size of a washing machine! Once you’re back on the beach make sure to check out the menu at the Kite City food truck. 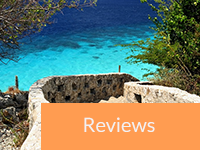 They serve some of Bonaire’s most delicious fresh fish (try the tuna burger) and refreshing drinks. Who said snorkeling couldn’t be relaxing? Sangria at sunset, anyone? 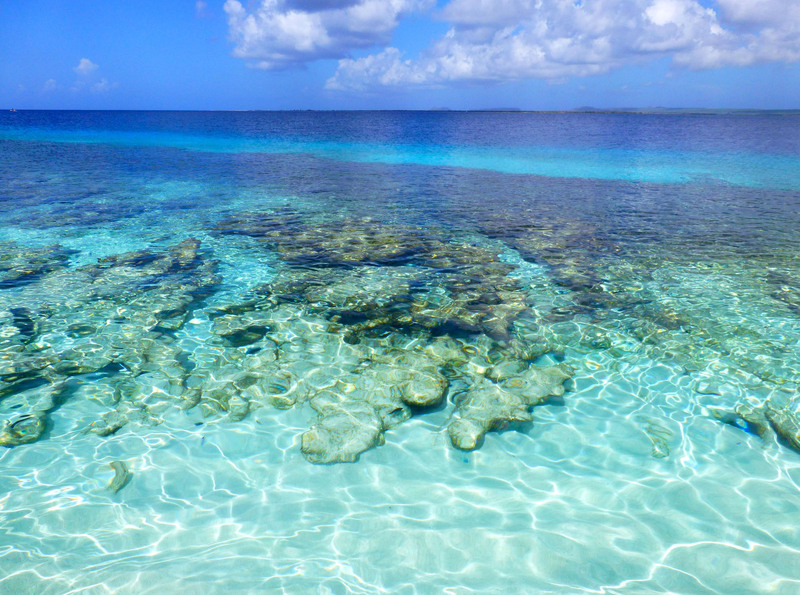 Ready for a snorkeling trip to Bonaire? 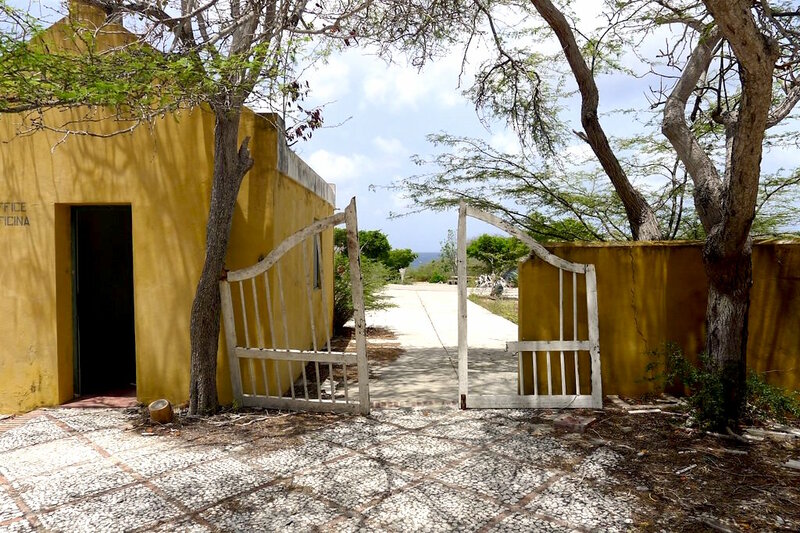 We went last year loved everything about Bonaire. We are coming again in a month and a half can’t wait! We loved the park. The fish were huge. Can’t wait! Awesome! Have fun and say hello to all the fishes! Wayaka 2 is my absolute favorite snorkel spot ever! I’ve encountered that friendly Angel. It took my breath away, and made me truly appreciate our connection with nature. Thanks Sara. That guy has had a lot of interaction (and snacks) with visitors. Can you get to Wayaka2 by car or do you need a truck? It’s best to have ground clearance in the park, as roads can be deeply rutted and a car will bottom out. Go with a truck, jeep or SUV. Karpata is the only one I haven’t been to yet. It always seems to be too windy – but the others are unbelievable!! Love Wayaka 2 and Te Amo, but I think Salt Pier might be my fav of these. Saw a huge bait ball there and tons of turtles and squid! Can’t wait to go back!! !